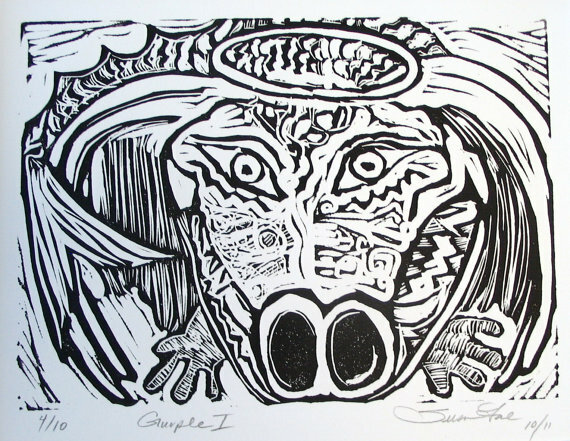 ← Fun online with ART! The year (2012) of the DRAGON lets celebrate her through ART. 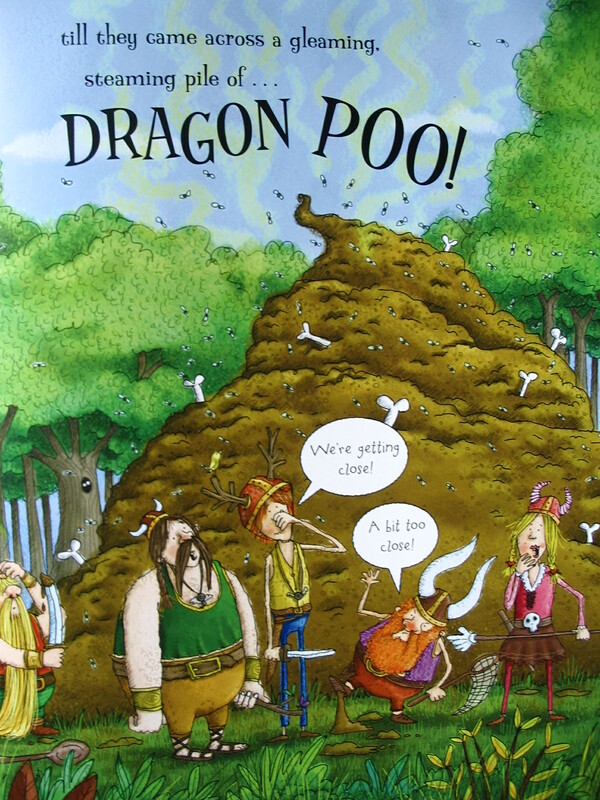 Children’s books are Great FUN in demonstrating what a dragon is made up of. The following illustration is from Dragon Stew. This maybe the most exciting page in the book, especially if you’re a kid, but really! all the illustrations and tongue twister phrases in Dragon Stew are FUN. Canadian Postage stamps have a very celebrated dragon too. Then there is the Children’s story Legend of the Chinese DRAGON which has images that look as though they could have been carved from wood or lino. The background colour adds a cheerful look to the black out line of the Dragon. 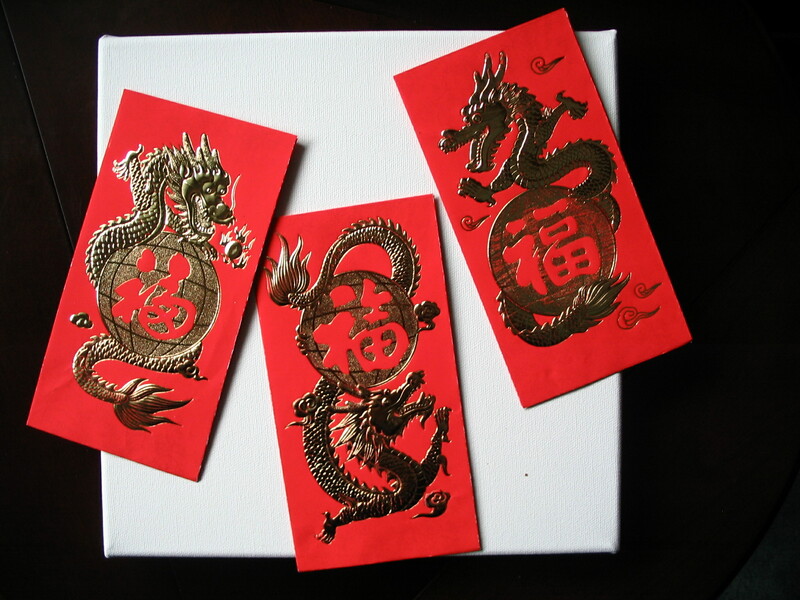 To receive a gift of a red envelope with a dragon on it is considered to be very LUCKY. I bought these in Calgary’s Chinatown. I feel LUCKY every day but just maybe I will find a little more with these Dragons. I am working on illustrating my own dragon and will post soon. Her name is Gurple. Please keep an eye open for the Purple Dragon. 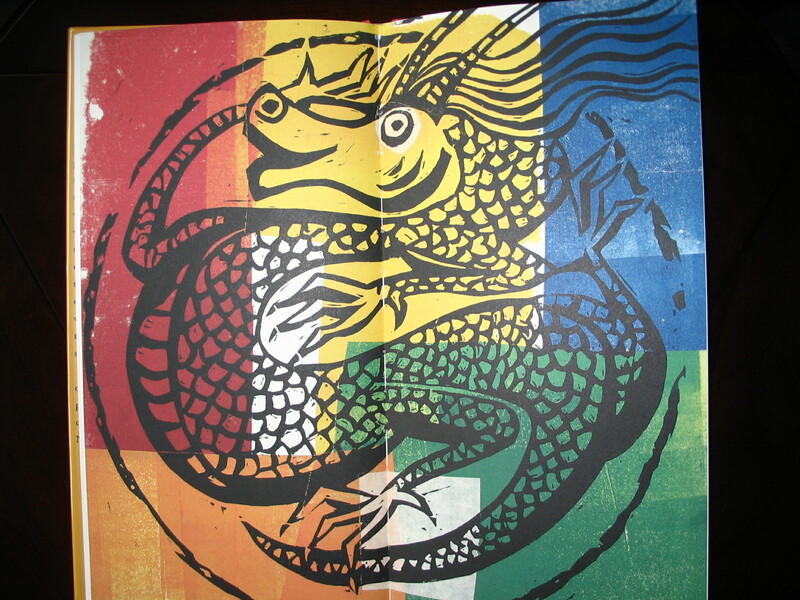 Here is a sample of my Dragon in Lino print. 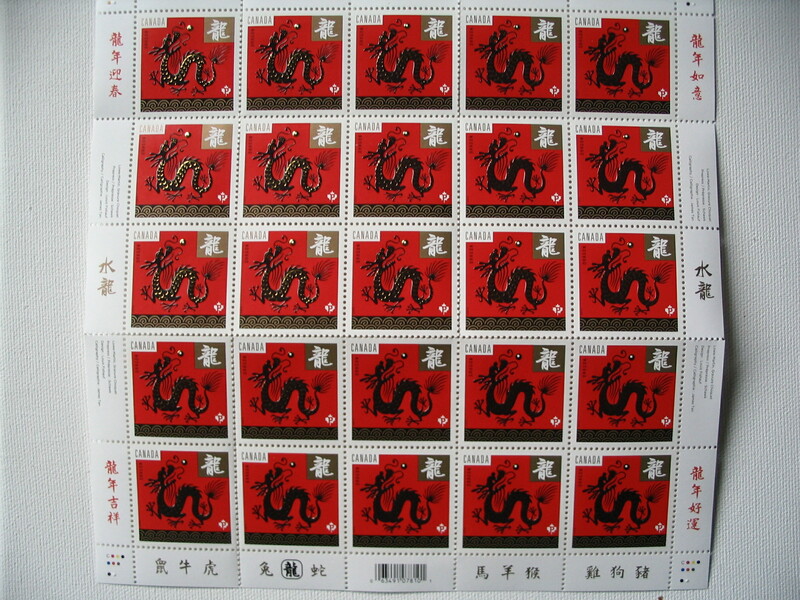 This entry was posted in Art Education, Dragons and tagged dragon poo, gold, postage stamps, red, year of the dragon. Bookmark the permalink. I thought you’d like to see another Chinese dragon – this one is called Xiaolong, and he lives in Liverpool (UK). You can read his whole story here: http://transylvaniatales.wordpress.com/the-dragon-that-squeaked/ and there he is on the front cover of the book, lying on top of his house. I like your dragon Xiaolong, great illustration.